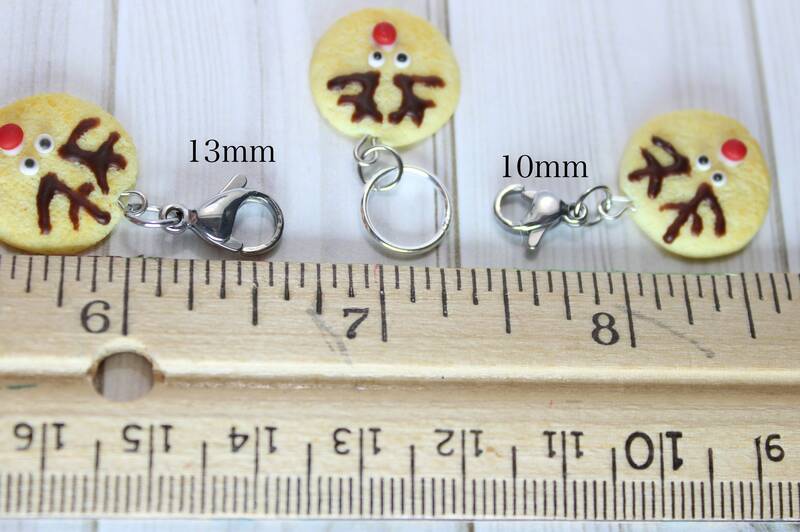 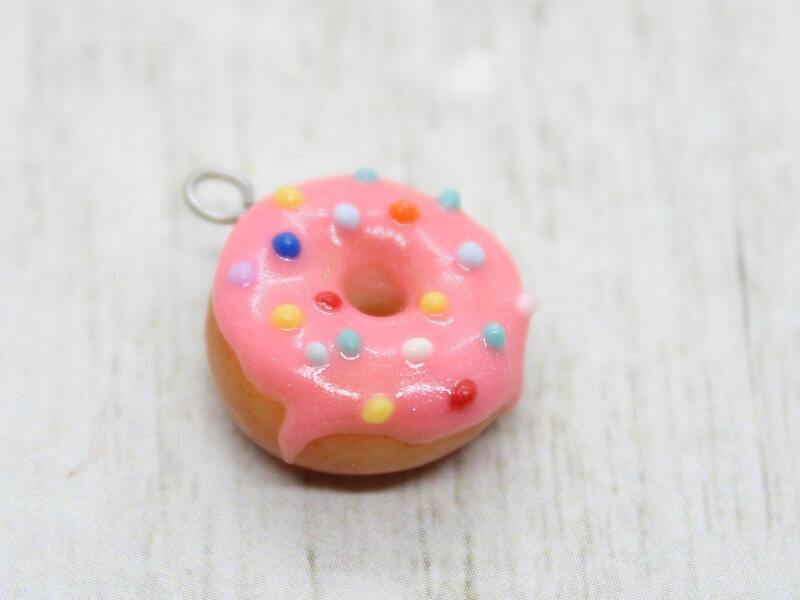 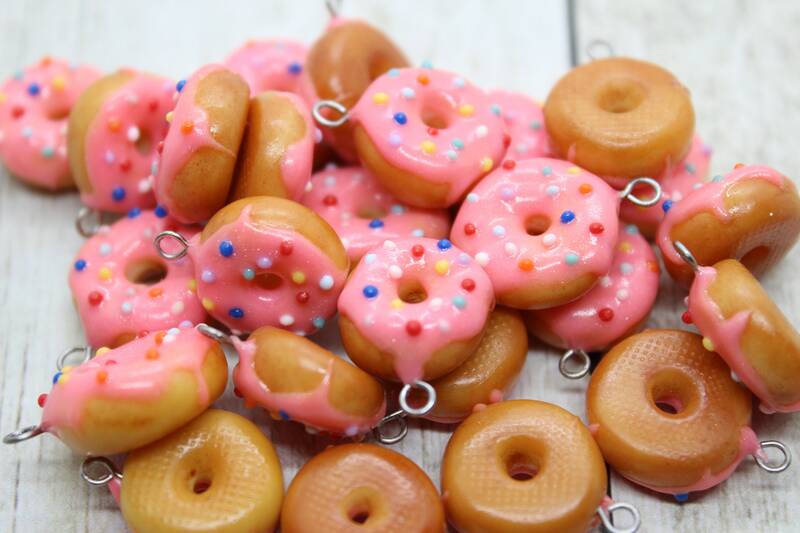 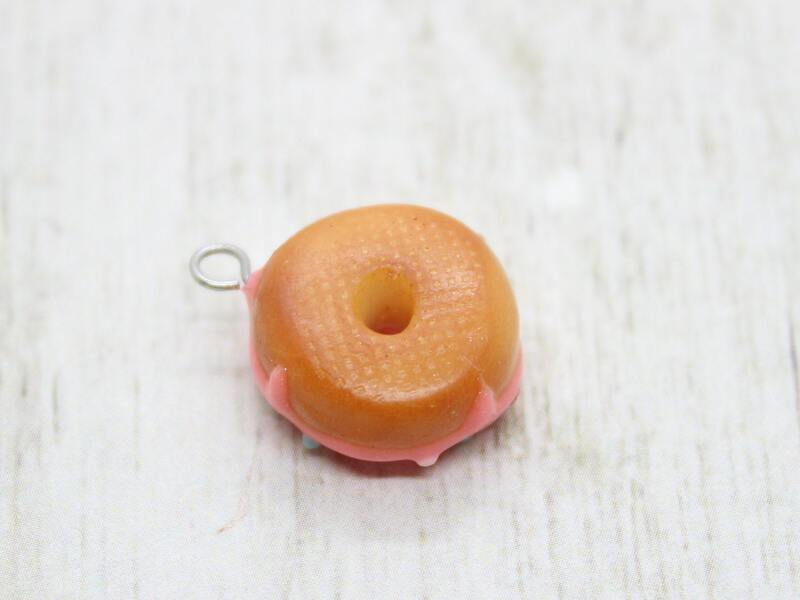 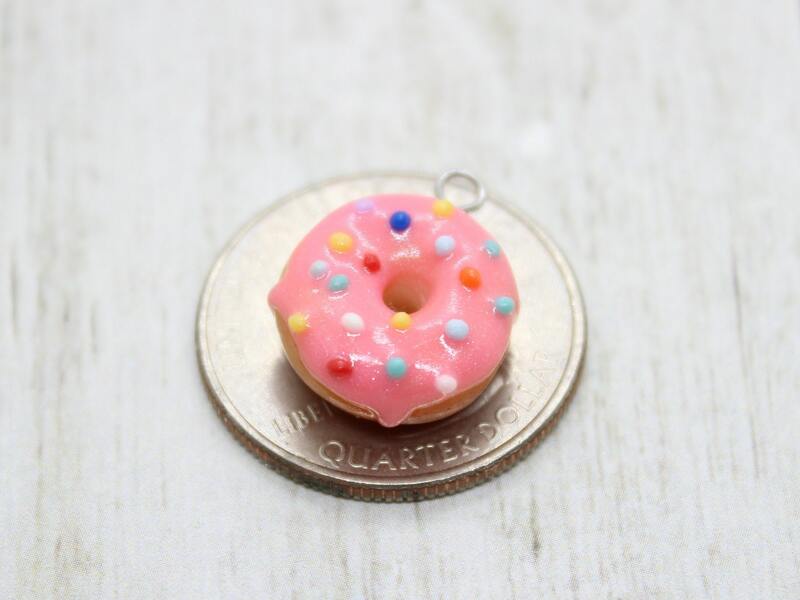 One Sparkly pink glazed & sprinkled doughnut charm. 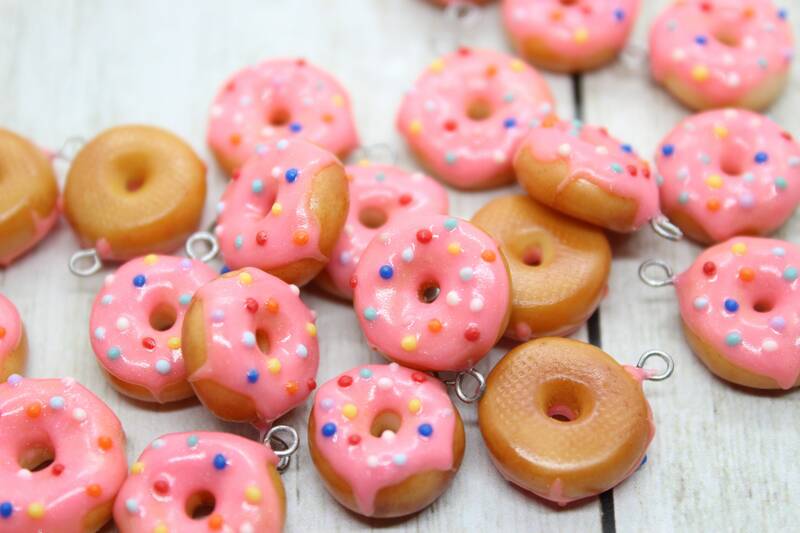 Fitted with a stainless steel eye pin. 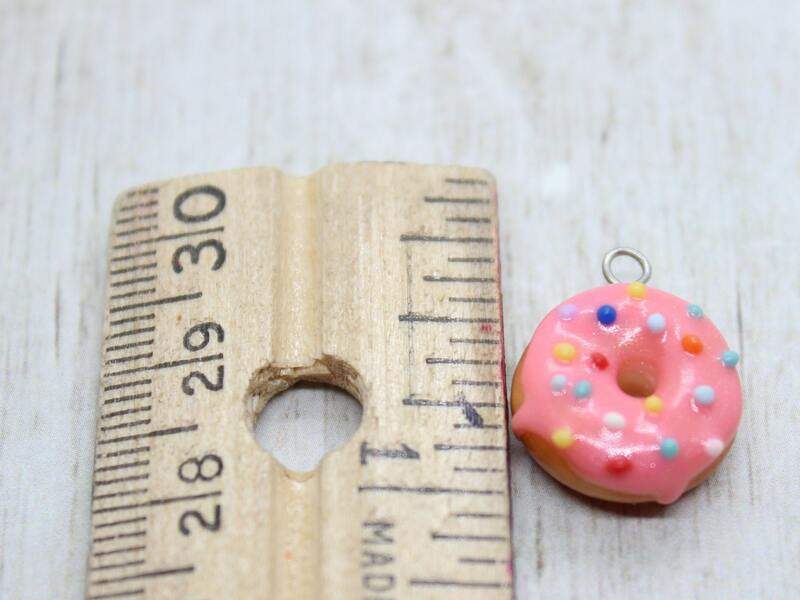 Approximately 5/8 inch at widest point.